Coexistence of thanks to collaborators of Pueblo Bonito. Posted by admin in Social Assistance on 09 30th, 2014 | Comments Off on Coexistence of thanks to collaborators of Pueblo Bonito. 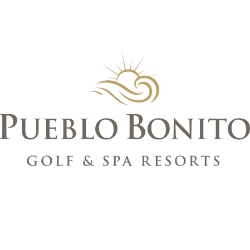 In order to thank the great efforts of the employees of Pueblo Bonito, Letty Coppel Foundation, a pool party was held at Pueblo Bonito Sunset, where each of the attendees enjoyed a pleasant afternoon. Letty Coppel Foundation provides support to collaborators. Posted by admin in Social Assistance on 09 30th, 2014 | Comments Off on Letty Coppel Foundation provides support to collaborators. Security department employees coexist in pleasant dinner. Posted by admin in Social Assistance on 09 28th, 2014 | Comments Off on Security department employees coexist in pleasant dinner. As part of the gratitude for the support always received by the staff from security department, Pueblo Bonito offered its collaborators a dinner at the Flamingos restaurant, living in a pleasant way with each one of those present. Employees of the Hotel Pueblo Bonito Pacifica affected by the hurricane “Odile” were benefited through the Letty Coppel Foundation when they were given a basic pantry, thus fulfilling the commitment with the employees of Pueblo Bonito and their families. “Letty Coppel” Foundation makes collection of diverse clothing for employees of Pueblo Bonito and community in general. Posted by admin in Social Assistance on 09 26th, 2014 | Comments Off on “Letty Coppel” Foundation makes collection of diverse clothing for employees of Pueblo Bonito and community in general. “Letty Coppel” Foundation Receive donations from Recreational Bikeway CSL. Posted by admin in Social Assistance on 09 25th, 2014 | Comments Off on “Letty Coppel” Foundation Receive donations from Recreational Bikeway CSL. As part of the activities that “Letty Coppel” Foundation has carried out after the contingency that occurred after the passage of Hurricane “Odile”, the delivery of food to families affected by this natural phenomenon was carried out as well as to each one of the affected employees.